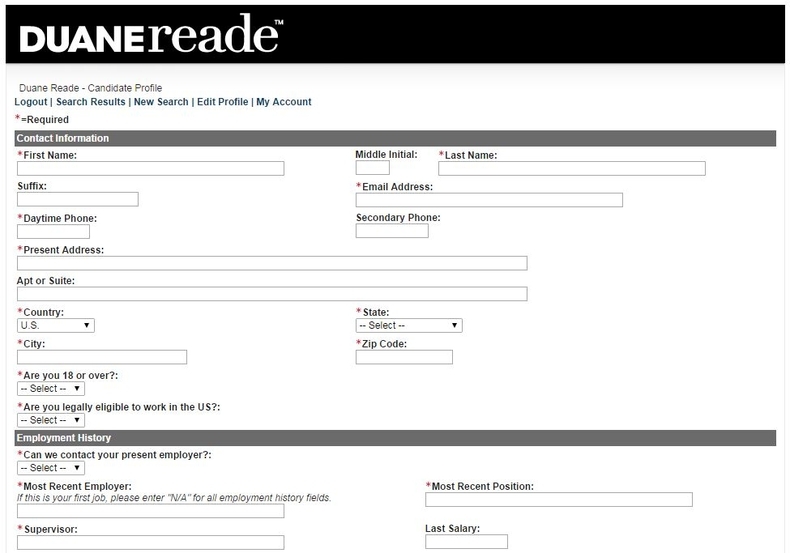 Visit duanereade.com/careers and land on to Duane Reade careers page. 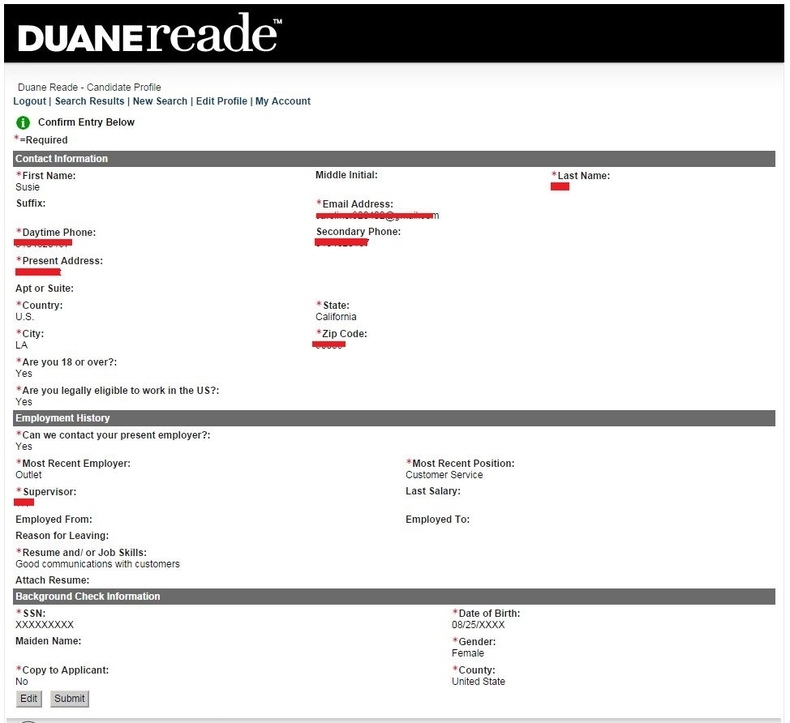 Scroll your mouse down and you will see different job areas. You can choose an area and select a kind of job for you. 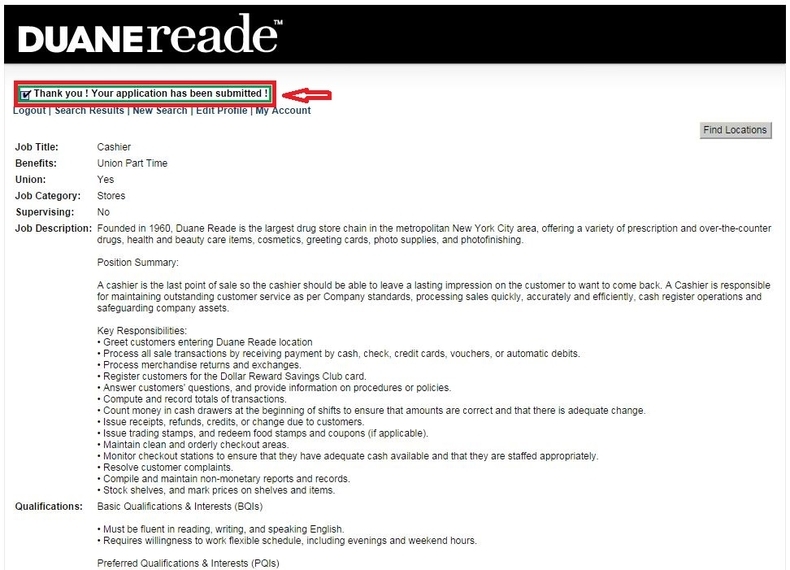 Here we select Cashier to set an example for applying for this position in Duane Reade. View the details of the position, such as general information, job description, qualifications and think about whether you can match the minimum qualification of the position. If you can match the requirements and decide to apply for this position, just click the button "Find Locations" to select your preferred working location. 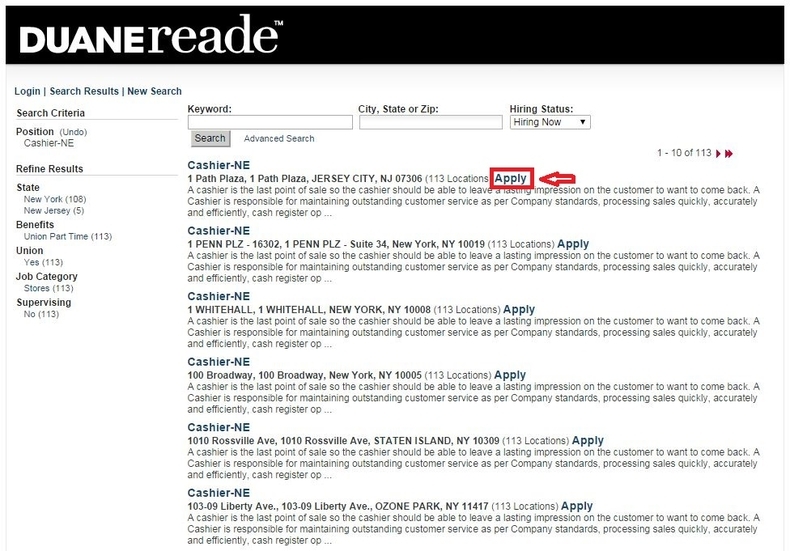 By clicking "Find Locations", you will see a list of location that have cashier openings. You can use search criteria to quickly find the location you want to apply to and then click "Apply" to start your job application. Here we choose the first location on the list to set an example for you. 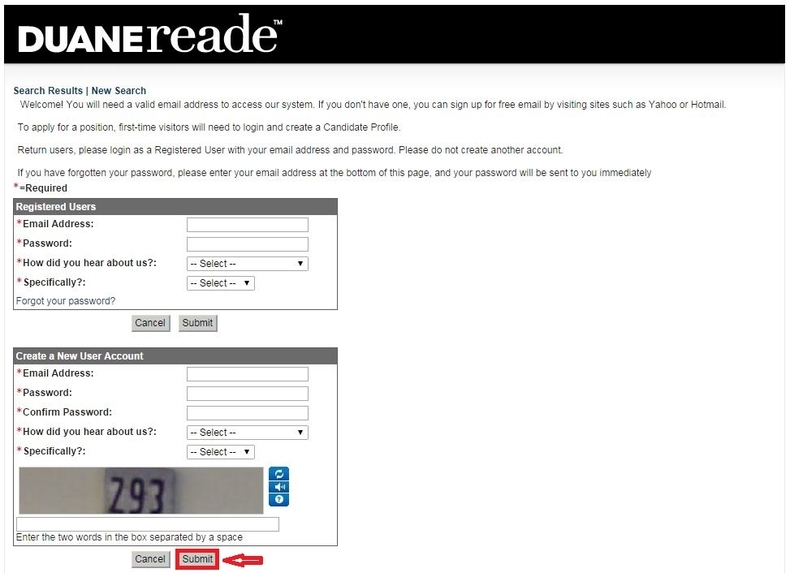 For registered users, you need to enter your email address and password to login. If you are a new user, you need to create an account with your email address and then click "Submit" to move on. Complete your candidate profile by filling out the form regarding your contact information, employment history and background check information. Please notice that all the fields marked with asterisk (*) are required. After you finish all the required fields, you need to click "Confirm" button at the bottom of the page to continue. Confirm the information you entered and then click the button at the bottom of the page to submit your application. You can click the "Edit" button to modify your information if it's necessary. Follow instructions to answer all the required questions marked with asterisk. Finish the question(s) on each page, you need to click "Submit" to move on to the next page. 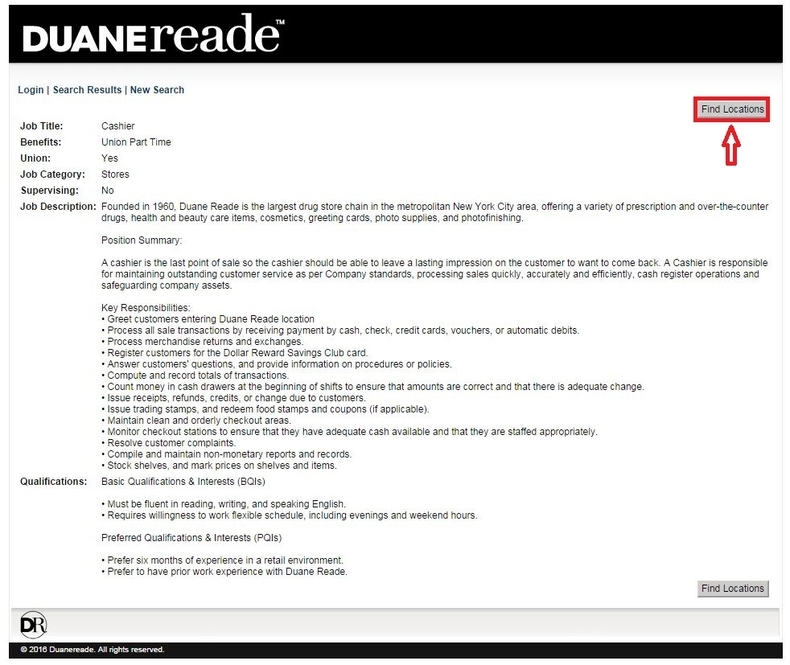 When you finish all the questions and click the button "Submit", you will be directed to a page where you can see a Thank You notification which indicates that your Duane Reade application has been submitted. 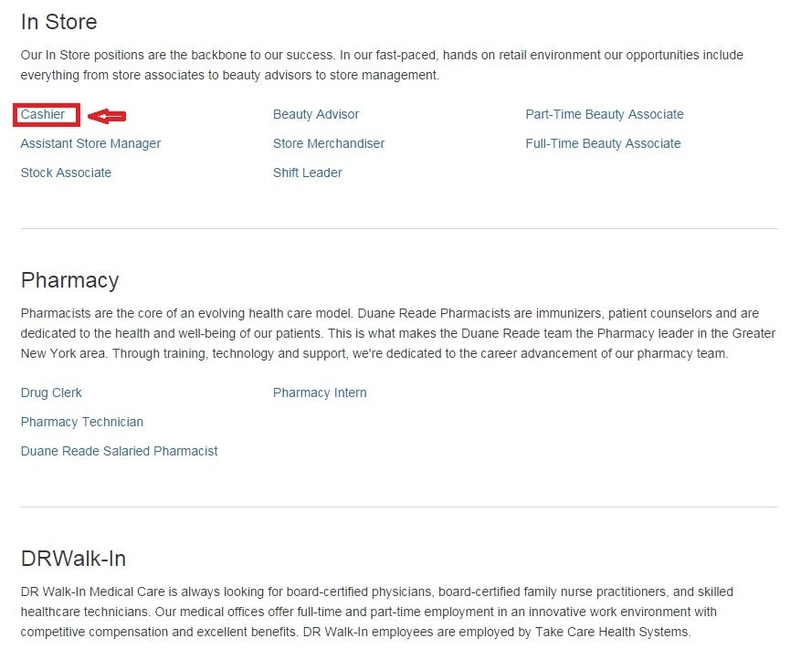 Click duanereade.com/careers to apply for Duane Reade jobs online.